Rising seas, polluted coastlines and the specter of more frequent droughts and storms have lent new urgency to efforts to restore the ecosystem of the Florida Everglades, the largest freshwater wetland in the United States. 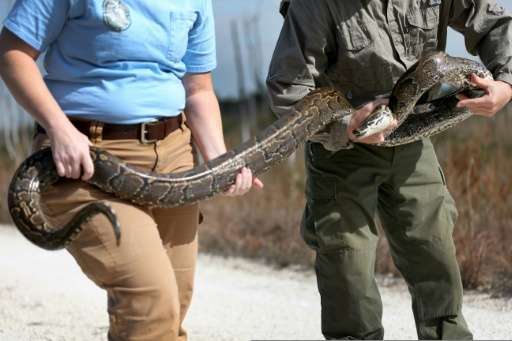 The Everglades' sawgrasses, swamps, tree islands and mangroves are home to a host of fascinating species, from American alligators to endangered hook-billed birds known as snail kites to invasive Burmese pythons. Until now, the world's largest ecosystem restoration project—a massive plan expected to spend some $10.5 billion, known as the Comprehensive Everglades Restoration Plan—has made little progress since it was launched in 2000. 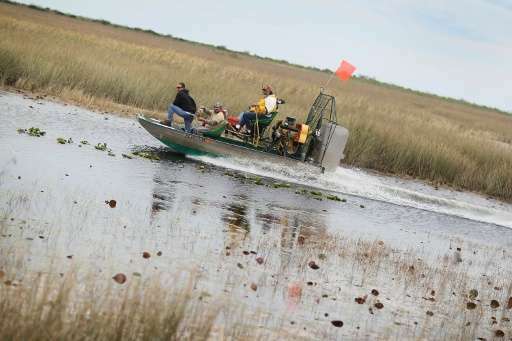 "Our goal was to have much of it done in 20 years," said Steve Davis, a wetlands ecologist with the Everglades Foundation, who led reporters on an airboat tour of the Everglades this month. "We are almost 20 years in and we don't have a single project completed." Even though the Everglades is known as the River of Grass, the water has not properly flowed through it in the past 70 years or so, because human development cordoned off the freshwater which used to spill over from Florida's massive Lake Okeechobee toward the south. As millions of people poured into the Sunshine State, a dike was built to protect against hurricane flooding and swamps were drained to make way for sugar cane farms. About one third of the Everglades' original three million acres (405,000 of 1.2 million hectares) became farmland, and 1.5 million acres were designated a national park. "We altered the ecosystem back in the '40s and '50s when we didn't know any better," said Bob Johnson, a hydrologist with the National Park Service. "Now we have to fix it." The consequences of diverting Lake Okeechobee's water—much of it polluted by agricultural discharge—to the east and west have grown increasingly dire. Last year, algae blooms coated the coastline with smelly, guacamole-colored sludge, and swimmers were warned to stay out of the water due to outbreaks of poisonous bacteria. Meanwhile, the spread of hot and salty water off the southern tip of Florida killed fertile fish breeding grounds known as seagrasses, threatening tourism and fishing—two key drivers of the state economy. "There is simply not enough water coming in from the north to keep the entire system hydrated from top to bottom," said Davis. The movement of freshwater from the lake toward the south must be restored if the area's tourist economy, drinking water and natural and developed lands are to be sustained in the years to come, he said. Without some two million more acre feet—an old measure devised by imagining a foot of water on an acre (0.4 hectare) of land—of freshwater to drench the Everglades, the marshes dry out, the thin layer of peat covering the porous limestone ground dissipates or even burns under the hot sun, and the landscape flattens making it easier for saltwater to invade, Johnson told a meeting of the Tropical Audubon Society this month. Saltwater intrusion is already making its way into parts of Florida's aquifers—which provide drinking water—and could forever alter the Everglades' fragile ecosystem. Having more freshwater in the system could help because it "pushes against the saltwater and keeps those marshes wet," explained Johnson. "It helps stave off the effects of sea level rise." Scientists like Davis and Johnson say the solution requires having more land south of the lake—an area filled with sugar cane farms—to use as storage reservoirs where water can be cleaned before flowing south. "If we don't figure out how to store more water, we can't get through the problems to come. We can't get through long droughts and then very intense rainfall," said Johnson. After years of political squabbles, there are signs that lawmakers are motivated to fix the problem. 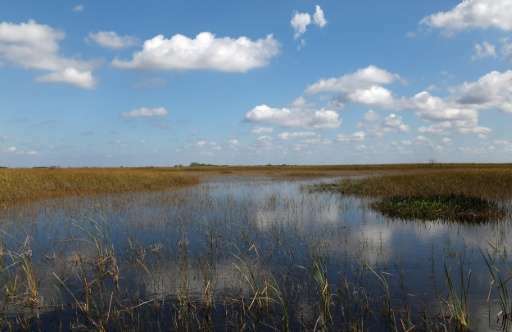 Bills have been newly introduced in the Florida House and Senate to authorize over one billion in state dollars to acquire 60,000 acres of land for a reservoir south of Lake Okeechobee that would hold 120 billion gallons (454 billion liters) of water. But more than a dozen farming companies in the area have dug in their heels, including sugar giants US Sugar and Florida Crystals, saying they are not willing to sell, questioning the science behind the proposals, and warning of job losses if land acquisition goes ahead. Criticisms of the plan and its priority on finding storage south of Lake Okeechobee have also emerged from the South Florida Water Management District, which is made up of political appointees of Republican Governor Rick Scott, a well-known skeptic of climate change. 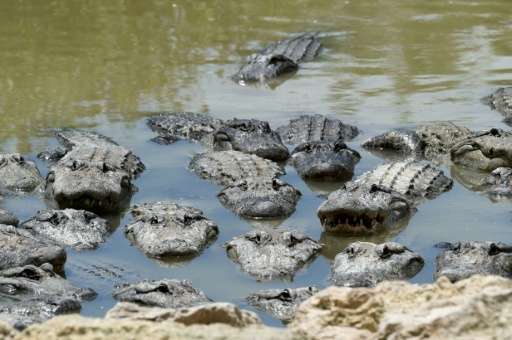 A review of the Everglades restoration plans by the National Academies of Sciences (NAS), issued in December 2016, found that more money and water is urgently needed, because the effects of climate change were not considered in the restoration plans when they were released in 2000. And with global sea levels expected to rise by 40 inches (one meter) or more by century's end, there is no time to waste. "If you change nothing now, if you do things as planned, you are going to run into serious flooding issues," said Fernando Miralles-Wilhelm, a professor of atmospheric science at the University of Maryland and leader of the NAS committee's climate change-related research efforts. "Those effects are occurring on the timescale of a few decades." "We altered the ecosystem back in the '40s and '50s when we didn't know any better,"
I wonder what we don't know better about now that we're doing.